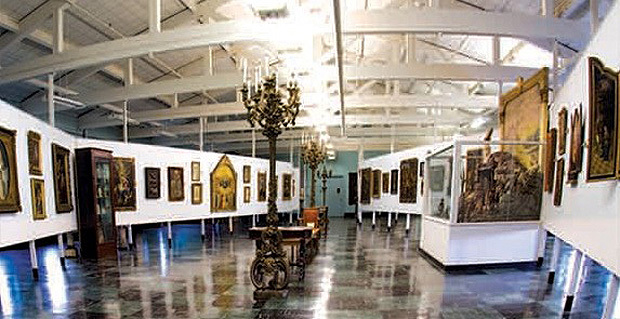 The Miraculous Medal Art Museum in Germantown displays hundreds of Marian masterpieces from the Gothic/Medieval, Renaissance and Baroque periods. 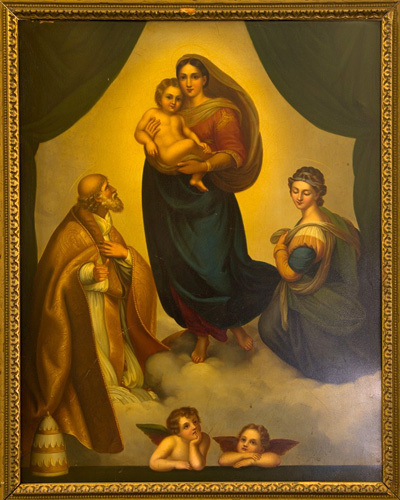 A copy of Raphael’s “Sistine Madonna” hangs in the Museum of the Central Association of the Miraculous Medal. Young adults are invited to experience the beauty of Marian art at “An Evening of Marian Masterworks” at the Miraculous Medal Art Museum on Friday, April 8 from 7 to 9 p.m. The museum is located at 475 East Chelten Avenue in the Germantown section of Philadelphia. Nick Gibboni, an official with the Central Association of the Miraculous Medal (CAMM), will share his knowledge of art history and give a presentation on significant museum pieces as well as information about the shrine. Refreshments, including hors d’oeuvres, beer and wine, will be served. The evening will end with prayer in the chapel. Young adults are asked to RSVP to the event by phone at 215-848-1010 or online. A free will donation of $10 is suggested. Proper ID is required, and each person will receive two drink tickets. “I never get tired of watching visitors’ reactions to the art museum here,” Gibboni said. They are always surprised at the treasures contained here — hundreds of masterworks from the Gothic/Medieval, Renaissance and Baroque periods,” he added. In his tours for art museum visitors, Gibboni enthusiastically shares Father Skelly’s vision for the shrine and museum, and likes to draw people into specific art works by sharing interesting facts about them or inviting a deeper understanding of the artist’s time period or way of life.